I do LOVE owls (and this one is a sweetie) and i do LOVE your background! Beautiful choice of colors! 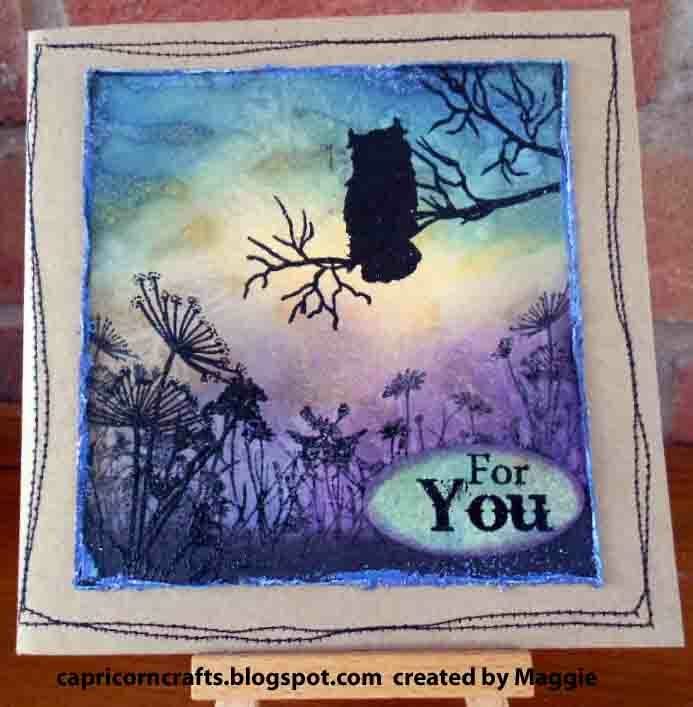 Your card is so beautiful & atmospheric Maggie! Love the background colours!